Shakespeare’s Romeo and Juliet re-imagined as a love story for an older generation. 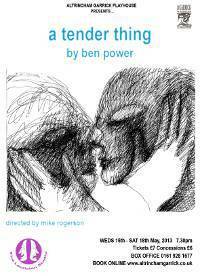 In Ben Power’s new version of the world famous love story, written for the Royal Shakespeare Company, Shakespeare’s language resonates through the story of an older couple whose lifetime of love comes under threat. A Tender Thing is an elegiac yet ultimately hopeful account of the human capacity for love.